In this new work, the free-spirited pair combines elements of contemporary dance, street dance and martial arts in a physical score that echoes the subtle pulse of respiration. 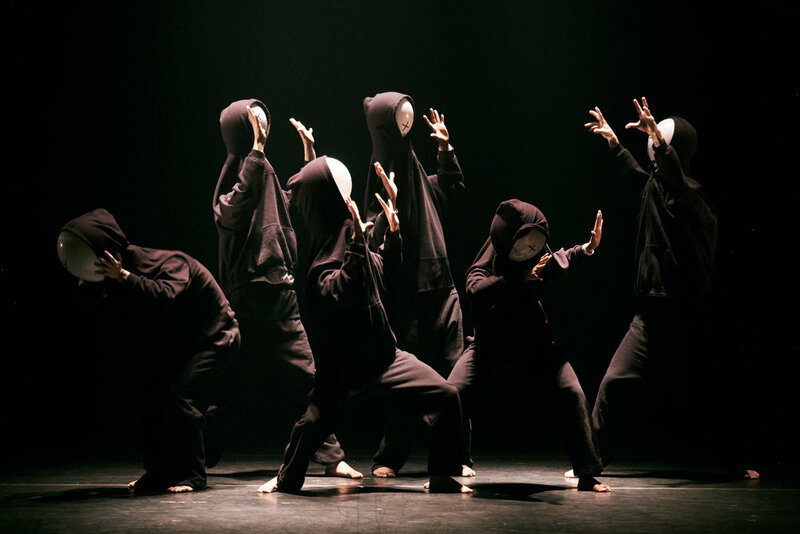 Inhalations and exhalations sculpt the group’s gestures and movements. The interconnected bodies form striking human structures that shift, alter, evolve in synergy with the music. The invigorating power of the breath and its circulation in the organism is embodied and magnified by the energetic, almost architectural dance. From technical feats to dreamlike sequences, Ghost is a welcome breath of air.